Lauren Conrad posted a picture of herself with purple hair on April 1st, but it was all just a gag in honor of April Fools’ Day. Lauren Conrad’s hairstylist Kristin Ess confirmed the prank in hilarious fashion via Instagram on April 2. “To get this exact shade of purple, we went out and gathered rare amethyst stones. Next, we ground them up by hand until they turned into a fine powder. Then we added 2 pinches of grape koolaid. Mix that in a bowl with 2 oz. of mermaid tears. Apply all over and let it sit for 16 hours. Lather, rinse, repeat. #aprilfoolsyall#shedoesntevenlikepurple,” Kristin Ess wrote. 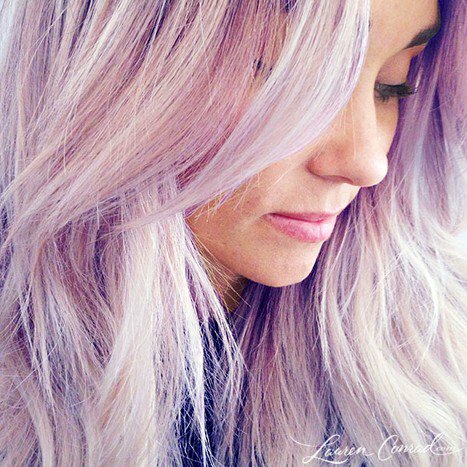 Lauren Conrad, 28, recently said that she’s just not into the purple hair trend.